The volatility spike in February is, in our view, a clear wake-up call for investors, and the market correction has partly removed the complacency that characterised financial markets in the last few months. While technical factors (position unwinding of specialised short volatility funds) are the main cause of it, we should not underestimate other factors that deserve attention, and which will potentially will write a new story for financial markets. The financial cycle is becoming increasingly mature after an extended bull market for risk assets; a repricing of inflation expectations is under way (some signs of wage inflation are finally materialising in the US in an economy running at full employment and fueled by robust fiscal stimulus). While Central Banks (CB) will clearly remain vigilant in order to assess any financial stability risks, a removal of excess monetary accommodation, with different speeds among various CB, is expected to continue, with a progressive tightening of financial conditions, potentially leading to higher market volatility. The recent market correction is, in our view, unrelated to recession concerns: the economic outlook still supports earnings per share growth, and some positive conditions, such as a capex revival and increased global trade, could drive an extension of the business cycle. However, we do not yet see this as an entry point: we believe it is too early to seize opportunities since the correction has been limited and incomplete (not affecting the credit market), and it is too early to tell if we are seeing a regime shift in fundamentals (ie, structurally higher inflation). Moreover, valuations are still high, less than one month ago, but still high, especially in credit market. They remain vulnerable to any pick-up in inflation data, which should drive a further rapid re-pricing of CB action. We have seen that markets may have limited capacity to absorb higher rates. In our view, a 3% yield for the 10-year US Treasury is a warning level, and 3.5% is clearly an alert threshold. If reached too fast, this is unlikely to be sustained without a second wave of market correction, which cannot be ruled out, in our view. Higher interest rates would have an impact on asset class valuations, putting pressure on some indebted corporates, on equity earnings, and on EM assets, should they aggressively and rapidly rise. Market liquidity, in this regard, will be a critical factor to watch. As such, the wake-up call should be taken as an opportunity to reassess the robustness of a portfolio entering into a new regime, where volatility will not be extreme, but higher than the depressed levels reached in 2017, and rates will continue to trend higher. Under this scenario, as we highlighted in our 2018 outlook, we believe investors will be exposed to asymmetric gain/loss distribution. To deal with this challenge, we think it is time to both recalibrate risks and implement investment strategies that can benefit from the last phase of the financial cycle (to enhance gain potential) while protecting assets from downside risks (to mitigate losses). In details, we see five appropriate investment strategies. First, on a cross-asset basis, while keeping moderate risk-on positioning to exploit the opportunities of the last phase of the cycle, we believe that equities should remain favoured over credit (high yield in particular). Second, in the equity space, further selection is needed in favouring the markets that offer higher return potential (Europe or Japan, and selective EM), and/or which, through an active approach, can still post value in some sectors/stocks (US). The third theme is related to the recalibration of monetary policy and inflation expectations’ repricing, and their impact on fixed income. These trends call for a flexible and more diversified approach to bonds (duration, curve, currencies, credit exposure, inflation linked, floating rates, and convertibles). The fourth is related to the resilience of EM assets. Even if not immune to rising rates, stronger economic conditions, and the adjustment in major imbalances, a weak US dollar should mean more robustness regarding the effects of higher interest rates than in the past. Lastly and even more importantly, in our view, as highlighted by the recent market correction (equity sell off and rising bond yields at the same time), is the implementation of effective hedging strategies that can help to mitigate the downside if the correction were to continue. 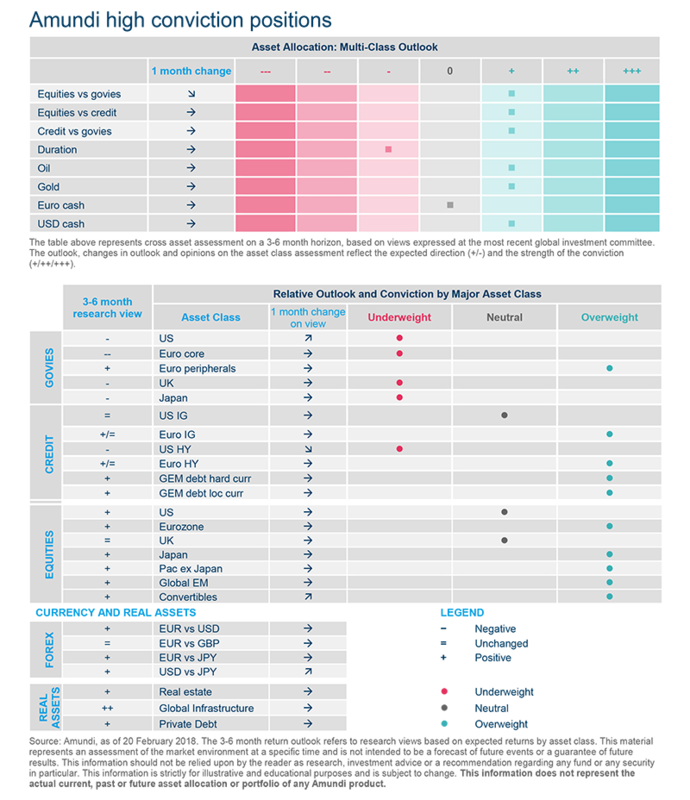 Multi-Asset: a combination of high valuations across the board and heavy positions weighted on risk assets in February, especially equities. Macro hedges, such as long volatility positioning, safe haven cross rates (i.e. AUD/JPY) and put spreads worked as expected to protect portfolios. While we are still moderately constructive on risk assets (mainly European, Japanese equities, energy sector in the US, and selectively some EM, like Russia), we believe that structural hedges will remain key in a normalisation of market conditions towards a higher volatility regime. 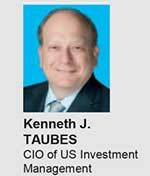 Fixed Income: the upgrade of US growth and inflation expectations initiated the sell-off in government bonds. A defensive short duration positioning is still appropriate, even though at the margin, reduced compared to last month. On duration, we remain ready to move to neutrality should 10-year Treasury yields approach 3.5% levels. On credit markets, we remain moderately constructive, mainly on high rated/most liquid securities, while we are becoming more cautious on HY. Credit has been relatively resilient in this phase: on the one hand, this is the result of sound fundamentals; on the other, it can reflect liquidity constrains in the market. This should be monitored very closely. On the USD, momentum has been weak, but we believe higher US real rates will create opportunities to increase the exposure to the USD. Equities: markets declined from hot levels. Fundamental conditions have not changed. EPS growth is still healthy globally. However, as we are approaching a late phase of the cycle, volatility will remain higher than last year, and influenced by CB communication policies and actions. We expect that markets will be more selective, favouring stocks with superior EPS growth and not excessive valuations. 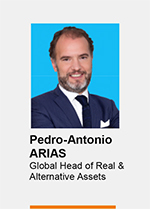 Real Assets: based on the current market cycle in Europe, with accelerating growth at different speeds across countries and inflation bottoming, we believe that real estate and infrastructure investing can be a source of portfolio diversification, with a selective approach. Both asset classes provide recurring cash flows, often indexed to inflation, which make them valuable hedges to higher inflation expectations. The deterioration of the twin deficits in the US could result in uncertainty regarding Fed policy and therefore in higher volatility. Two recent events have changed the macro financial backdrop: (1) the rise in equity volatility, and (2) in terms of economic policy, the bi-partisan agreement in the US Congress to increase public spending. The latter agreement is favourable to US growth in the short term, but it is likely to maintain uncertainty (and, consequently, volatility in the markets). This is indeed the first time that a US administration has decided to stimulate the economy while it is close to full employment. While the amounts involved are not exceptional, they add to the actual tax cuts since the beginning of this year, increasing the pro-cyclical nature of the policy mix. The disadvantages are many and well known. The surge in expenditure and the fall in tax revenues are never offset ex post by the fueled activity induced. The federal budget deficit will therefore widen further; it is estimated that it will exceed 5% of GDP in 2019, unprecedented in a period of economic expansion. At full employment, fiscal stimulus is more likely to lead to inflation, especially on the wage side. Against this backdrop, the Fed must rebalance the policy mix by reducing the degree of monetary accommodation. The probability of four rate hikes this year (one per quarter) has increased. And, under these conditions, long-term interest rates are threatening to increase more significantly. Will rising interest rates support the US dollar? At the beginning of the 1980s, President Reagan's expansionary fiscal policy led to a sharp deterioration in fiscal and trade deficits (twin deficits), and to a sharp appreciation of the USD. The economic context is, however, radically different now. At that time, the Fed was determined to raise rates to counter inflation. And, it was the rise in real rates that supported the USD. First, the context is much less inflationary: on average, in the current cycle, inflation has fallen to its lowest level since the early 1960s. The monetary gradualism is necessary because a sudden tightening of monetary conditions would certainly precipitate a bond crash and a new economic and financial crisis. In addition, the pro-cyclical fiscal stimulus is likely to lead to a sharper increase in imports - and therefore a greater deterioration of the trade deficit than a counter-cyclical fiscal stimulus. Finally, the income balance will deteriorate significantly. Interest payments on debt securities held by foreigners will mechanically rise with rises in nominal rates. US liabilities account for nearly 180% of GDP, of which nearly 60% derives from debt instruments. All else being equal, a 100bp rise in nominal rates would thus have a negative impact on the income balance of nearly 0.6% of GDP (adding to the trade deficit). Ultimately, the deterioration of the twin deficits is expected to weigh on the dollar in 2018. This will worry the Fed even more regarding inflationary consequences of fiscal policy pursued in the absence of any reaction on its part. At the end of the day, uncertainty about the Fed's reaction function should keep volatility high. We see three factors behind higher sovereign long-term bond yields. All these conditions, we expect, will continue to put pressure on rates in the coming months. A significant upward revision of market Fed funds expectations, in the wake of the adoption of the fiscal reform. Markets are now pricing three rate hikes in 2018, in line with our expectations. A confirmation of the reduction in the accommodative stance of monetary policies. Another driver behind the rise of global long-term yields has been the dramatic reduction of the ECB’s net purchases of sovereign bonds from early 2018 (the pace of the public sector purchasing programme has been reduced by around 60%). This has also contributed to the rise of the term premium in Germany and in other markets. A jump in US Treasury department funding needs. According to our calculations, net issuance of long-term US Treasuries could reach $800bn in 2018 and $970bn in 2019 (higher deficits and Fed’s non-reinvestments) and nearly double the amount borrowed by the federal government in 2017. While these amounts are not unprecedented per se (US Treasuries net issuance accounted for $1tn in 2012 and even $1.6tn in 2010), it is abnormal to see deficits climbing so much at this point in the economic cycle. According to our analysis, the critical threshold for the 10-year US Treasury yield to initiate a double bear market would be around 3.5%. A smooth transition from asset reflation to a late-cycle financial regime still supports risky assets, but likely with lower risk-adjusted returns for several asset classes. Global macro fundamentals have changed little: our central case remains one of synchronised recovery, fueled by consumption, global capex and still firm trade. Risks to growth and inflation are still slightly tilted to the upside. We expect inflation to remain benign and not to force major CB to act disruptively, but to move further in the recalibration of their policies. On the back of this robust framework, we consider the February turbulence in the stock market as an overshooting from a realignment of stock prices to higher inflation expectations and to higher interest rates. We reiterate our scenario of a smooth transition from an asset reflation to a late financial cycle regime, still in favour of risky assets, but with lower risk-adjusted returns and still easy but tightening financial conditions. While most asset classes still have stretched valuations, strong growth momentum could support further upside from current levels. Tactical factors (sentiment, flows, relative strength index) remain quite influential in the short term and recently encouraged the tempering of overall risk exposure. Therefore, we suggest an increased focus on relative value stories rather than a directional risk-on/risk-off approach. Hedging strategies are also crucial to navigating a phase of higher volatility ahead. In risk assets, we still favour equities – particularly Europe and Japan (broad market and banks), but also the US energy sector vs the S&P 500 – and we prefer equities to HY corporate bonds. In EM equities, we maintain our preference for Russia vs EM and we also favour China in relative terms. In fixed income, we are still constructive on European IG credit, that we prefer to govies for carry reasons. On the government bond side, a positive view on inflation-linked bonds (in Europe, US and Japan) remains one of the main conviction ideas, as our macro forecasts call for a moderate upward trend in inflation to continue throughout this year. We are still expecting higher German rates in 2018. Curve movements could also be a source of returns this year. For example, in the US, we expect the 2-10 year segment to steepen to incorporate higher inflation expectations and the future increase of the US fiscal deficit. We still see potential for the Swedish curve to flatten on the back of increasing prospects of a gradual monetary policy tightening. In the UK, we think that Brexit negotiations are going to affect long-term real rates and the GBP. We expect UK 10-year real rates to rise, consistent with the uptrend in nominal rates and also because of a potential slowdown of UK inflation later in the year. We keep a defensive stance on the GBP, which we expect to experience Brexit-related volatility in the future vs both the EUR and the USD. The negative correlation of these two investment ideas – UK real rates set to increase and the GBP to weaken – allow for the diversification of elevated headline risk on this critical and long negotiation process. We see other opportunities in the FX market, in particular in the Norwegian Krona vs the EUR based on oil trending higher and a hawkish Norwegian CB. During equity turmoil, hedging strategies have been crucial to smoothing portfolio volatility. Tactical risk reduction, option strategies, and appropriate cash buffers will continue to help investors to smooth the effects of temporary corrections. We expect linkers and real assets to protect in case of an unexpected and persistent rise in inflation above CB targets. Options protecting from HY spread widening may be useful as liquidity continues to decline and if interest rates continue to rise. FX strategies (i.e., AUD/JPY put options or short USD/JPY) could be helpful in phases when there is no place to hide. We expect to see more pressure regarding interest rates. The “normal” relationship between strong growth, higher inflation expectations and higher interest rates finally seems to have been restored. This new phase signals a normalisation in fixed income conditions, where fundamentals will regain their key role. The transition has not been smooth: in less than six months, 10-year yields in the US have risen from 2% to 2.9% and the 10-year German bund yield has doubled since December. This environment calls for an active approach to fixed income: active in duration management (short with rising rates, but neutral/long when the economic cycle slows down), active in currency management (as CB policies are not fully synchronised), and active in security selection in credit (overall quite tight) to find the right balance between risk and reward. This also calls for enhancing sources of diversification both to hedge against inflation risk (inflation-linked bonds) and to capture stronger economic growth (convertibles). On the USD, momentum has been weak, but higher US real rates will start to attract capital reverting the recent trend. year-to-date as the ratings of several countries have been upgraded and economic activity remains strong. We remain mildly constructive on peripheral bonds, on Italy in particular, but opportunities have diminished. Credit has been relatively resilient in this phase, amid strong fundamentals and, in the Eurozone, technical support by the ECB purchasing programme and strong demand. Carry trades, we believe, will remain well supported, even if less so than in the past 12 months. In the EU, we prefer subordinated debt (financial and non-financial). The HY market still offers moderate value: strong growth is a supportive factor, but leverage is high, especially in the US, though less so in Europe. Based on our analysis, one-third of US HY companies remain in challenging situations and could become vulnerable in case of further risk aversion. The Euro HY secondary market is supported by limited net supply, as the loan market is currently more attractive for issuers. Persistently high levels of equity volatility represent the major threat to the market. To deal with this, we believe investors should focus on highly liquid/high-quality securities. EM bonds held well during the market sell off, with the high beta credit suffering the most, especially in Latin America. Market valuations are still tight, but fundamentals remain strong. A catalyst for a strong reversal in flows could be a strong dollar or US 10-year treasury yield aggressively raising toward 3.5%. These conditions are not in our base scenario. We still believe that returns of EM debt in hard currency can be in a range of 4-5% this year and that EMD local currencies could post a high single digit return. 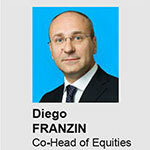 Fundamental outlook has not changed, but the market will become increasingly selective. The February sell off after the prolonged bull run is, in our view, more a correction from overbought levels than the start of a bear market led by a recession. As we are moving towards a late phase of the cycle, with tighter financial conditions ahead, we expect higher volatility. Fundamentals remain strong overall and earnings growth will be the key driver for future performance. The European renaissance theme is still intact as confirmed by the positive earnings seasons and 2018 EPS forecasts which are on a strong note in Europe. The market turbulence has been of a technical nature with no rotation within the themes in the markets and no spillover. Some concerns may arise in the future if the recent strength of the euro continues. At current levels the headwind is still absorbed by the strength of the underlying economy. For us, the important issue is the reason behind the strengthening of currency that we see mainly in the improving economy and we believe that this will be an offsetting factor for many corporates. Of course, this can transform in some headwinds for corporate earnings but we believe is not time to become defensive yet. The European index (MSCI Europe), 50% made of cyclicals and financials, should be favoured with rising (modestly) interest rates (banks) and lasting EPS recovery (software, luxury, food & bev., tobacco, pharma, energy). Diversified financials could be a hedge against a potential short term rebound of bond-like sectors (Utilities, Telco, RE). US equity overbought conditions no longer exist after equity market sell off in early February. We continue to monitor wage inflation, raw materials increases, and other rising costs as an offset to the tax reform windfall. We note that overall market valuations are not a big issue, but the most expensive stocks in the US market are historically as expensive as they were in November 1999. In this “expensive” territory, we can find mega caps, with market caps of more than USD50bn, accounting for about USD3tn in market cap (the total S&P market cap is USD24tn). Many of these companies can be vulnerable to higher interest rates. The rest of growth stocks is reasonably priced versus the overall market. On the other hand, not all value stocks are attractive: consumer staples, utilities and telecoms can be hit by higher rates and inflation which devalue high dividends. Moreover, some value sectors are under pressure from secular changes (ie, media, consumer staples, telecoms), and they can become value traps. In our view, financials (mega cap banks), energy and selected consumer discretionary should be favoured in the current phase of the cycle. In this new phase in which CB will progressively remove stimulus and financial conditions will become tighter, we think it will be extremely important to be more selective, both in stock picking and asset sector allocation. The correction for MSCI EM has been in line with that for MSCI World during the market turmoil, but we think it is worth noting flow resilience: inflows decelerated early after the 2018 record, signaling still good appetite from investors for these markets, which retain attractive valuations vs DM. The reporting season is still in its early phase, but till now, is confirming its positive momentum: 4Q17 yoy growth (current reporting quarter vs the same quarter one year ago) is +15% in USD. In our view, this momentum is likely to continue, with some deceleration seen mainly in 2H18. The outlook remains quite supportive for the IT sector (in China, internet companies, but also South Korean tech names after the correction). Asia is our favourite area, followed by EMEA (focus on Russia and banks in Central Europe) and LatAm, though this region is more expensive and riskier, due to NAFTA renegotiations, and more influenced by political risk (elections in Mexico). A recovery in commodity prices could improve the picture for this area. 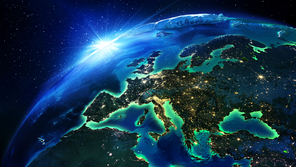 The European real estate sector is expected to grow at different paces between countries. 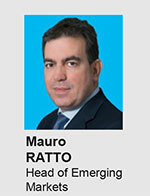 Active, selective strategies will be key to taking advantage of new trends. 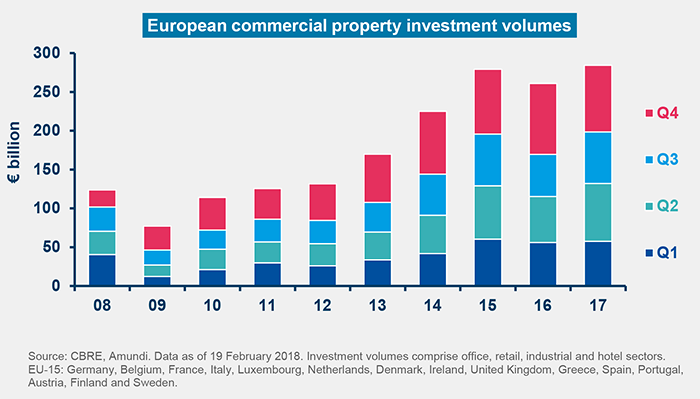 The European economic recovery is supporting real estate investment growth in the Eurozone and should make 2018 another good year for rental growth since it will indirectly affect the demand for housing, thus pushing rents upward. In fact, rent trends are likely to become the new driver of real estate performance, which will no longer be essentially driven by low rates. With an outlook of interest rates trending higher in the medium term, the attractiveness of the sector should remain robust (on a relative basis, at least). Furthermore, real estate can structurally be considered as an effective hedge against inflation, particularly thanks to the recurrence of its cash flows and their indexation method. As inflation rises, house values and rental income are expected to rise as well. In addition, real estate investing can also be attractive as a source of income enhancement or as a tool for diversification (low correlated return). Although the European real estate sector is expected to remain strong, due to the improved economic situation, there may be significant differences among countries. For example, in the last five years, house prices have risen sharply in some countries, while they have been contained in others. In this respect, some key trends should be considered. In the short term, there are cyclical trends that may negatively affect the real estate sector, such as high valuations and competition in some major countries and the prospect of rising interest rates. In the long term, however, there are structural trends that look set to drive performance, as population changes and technological innovations are at play. In such situations, the ability to identify those markets that are likely to benefit from these underlying trends and to perform well even in the face of cyclical pressures will be key. For example, France could offer interesting opportunities, as the economic recovery is not yet in full swing, which means there is still room for improvement. In addition to premium locations in Paris or La Défense (France’s premier business district, located a few miles west of Paris), which offer solid returns, investors could exploit opportunities with moderate risk profiles in France’s regions, especially in major provincial cities, which have so far been neglected by institutional investors. For the future, we think that fund managers will need to take an active and selective approach in real estate investing, with a focus on those markets and areas most likely to benefit from the cyclical and structural trends described above. In our opinion, it is time to move up the value chain by proposing value added strategies (e.g. leasing-up, renovating or total refurbishing of properties). Also, we believe it will be crucial to take a flexible approach, notably by understanding the evolving needs of tenants (e.g. ESG criteria). Establishing strategic partnerships could be another strategy to quickly penetrate several European markets with the required nimbleness, and take advantage of local skillsets.